In January of 2015, the Education Committee of the Green Burial Council solicited responses from 70 green burial cemeteries in and out of the GBC network, receiving a 53% response rate. The data collected was used to develop presentations for the ICCFA conference in San Antonio, Texas, to cemeterians and funeral industry professionals. 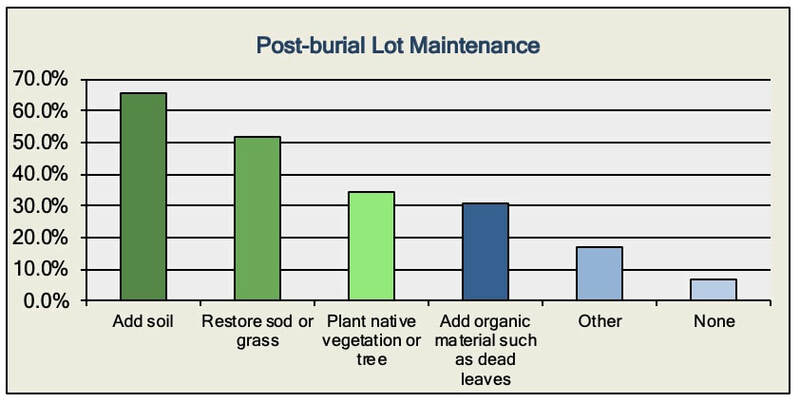 The data collected has been valuable in helping to inform the GBC and support its mission to educate the public about green burial and develop ways to support certified providers. A 5-year look back survey will be conducted in 2020 to determine what may have changed in public perception, cemetery operator practices, and general growth of the movement.